You can do it, Kim Bok Joo! 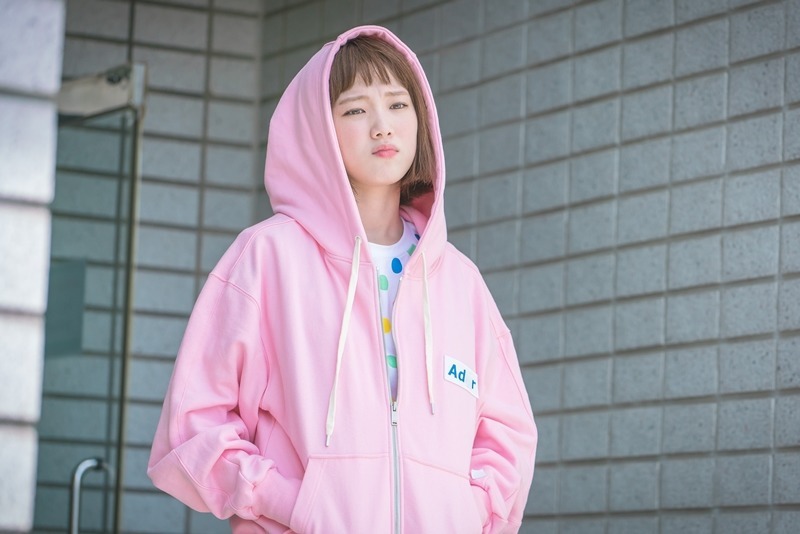 Kim Bok Joo is an up and coming weightlifting athlete in a sports university. 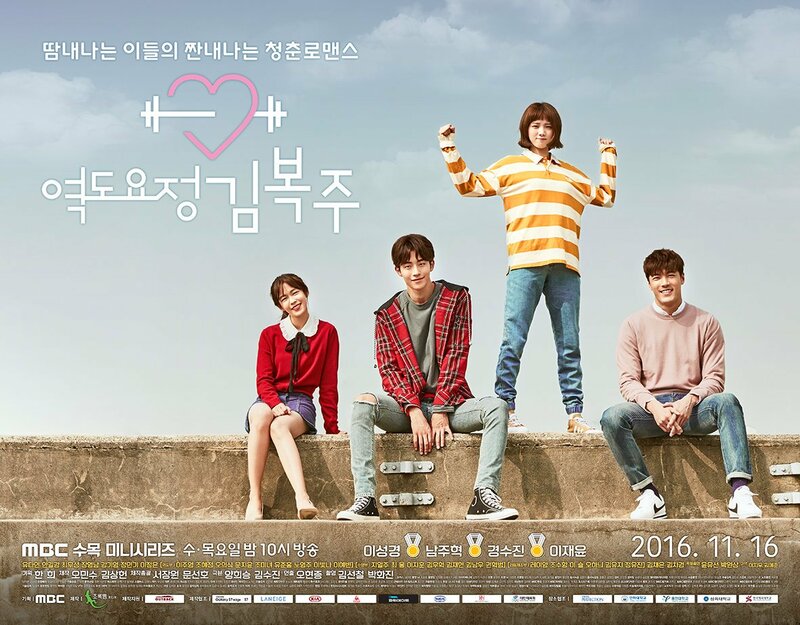 Her seemingly ordinary life becomes interrupted as she befriends the star athlete of the swim team, Jung Joon Hyung. She has her first crush (not on Jung! ), first heartbreak, first uncertainty, first big success and first love. Journey with her as she and her friends persevere through the challenges of being athletes chasing their dreams. It’s not to say Weightlifting Fairy Kim Bok Joo is without its flaws though. As much as Lee Sung Kyung has improved, she fell back into her pouty-lipped default quite a number of times. I’m never sure what that expression is suppose to mean; it just reminds me of her over the top role in Cheese in the Trap, not a good look. Speaking of Cheese, this drama is a serious reunion of sorts because both Nam Joo Hyuk and Ahn Gil Kang play significant characters in Bok Joo’s life. 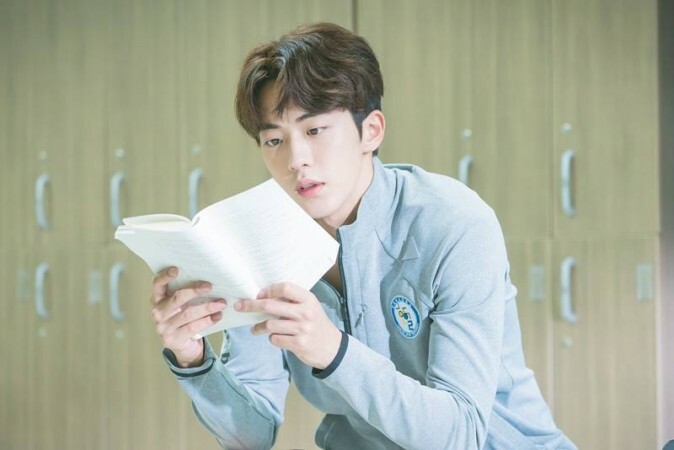 Although I didn’t expect it so soon it was a pleasant surprise for me that Nam Joo Hyuk got a starring role so quickly. His onscreen chemistry with Lee was so natural that I would have zero problems believing they are lovers off camera too. Perhaps it owes to them being models, they just look so good together. All those posing lessons paid off, huh? Overall, the story impressed me the most. I like that it is about Bok Joo, and Bok Joo only. Never did it once falter and forget its focus like romcoms often do. She continues to be the center of attention and everyone else can only play second fiddle. Her success in love, friendship and career are celebrated as a part of her life and not the other way around. Yes, we are all shipping her and Joon Hyung (Nam’s character), but the way the story revolves around her it gives me confidence that even if they don’t remain a couple forever we as the audience would not abandon Bok Joo. And I like that thought. I like that thought a lot. The fact that she is even more successful than Joon Hyung? The icing on the cake. It’s about time we have a heroine who doesn’t need a guy to pull her out of her predicament. Their story is one of support – they lean on each other, and not just her on him. So if you can’t tell already I would definitely recommend you to check out this drama. You might think I’m exaggerating, but you check it yourself and let me know. Lee Sung Kyung began her career as a model after winning several competitions in the 2000s. Before her big break on screen she played a minor character in It’s Okay, That’s Love and a supporting character in Cheese in the Trap. For her portrayal of Kim Bok Joo she won the Excellence Award for Actress in a Miniseries at the 35th MBC Drama Awards which took place on December 30, 2016. Nam Joo Hyuk debuted in 2013 as a model. Since then he has appeared in some music videos and played supporting characters in Surplus Princess, Cheese in the Trap and Scarlet Heart Ryeo. He was nominated the for the Excellence Award for Actor in a Miniseries and Best New Actor at the 36th MBC Drama Awards, both for his role in Weightlifting Fairy Kim Bok Joo. He went home with the Best New Actor award. Lee Jae Yoon played a string of supporting roles, most recently in Glamorous Temptation and Another Oh Hae Young. Kyung Soo Jin had a guest role in Entourage and starred in Plus Nine Boys. I love this drama so so so very much! They’re really adorable and what I like the most about it, is that she can handle herself and isn’t afraid to.